This tax season, make sure you are getting the tax return you deserve with our help. Taxes are a complex system and having a knowledgeable and experienced professional at your back can be the best way to improve your return. We offer tax planning and preparation for both individuals and small to medium sized businesses. We have the experience and knowledge required to guide you through the many regulations and laws. Minimizing these taxes is a goal of every business. We can help you and your business through our advising! Many individuals believe that their tax return is relatively simple. You can go the simple route, but you are likely making mistakes and missing out on deductions you are able to claim. We can help you get the most out of your tax return. If you are a new client, we review your last 2-3 years tax returns to check for accuracy. No matter if you owe money on your return or have a large refund, we will help you adjust your withholding tax to eliminate problems. Tax returns are carefully reviewed to ensure you take all the deductions you are entitled to. As part of our income tax preparation process, we electronically file your tax return. We prepare most state income tax returns. We can also help you with out-of-state individual tax preparation. Get the most out of your tax return, call us today so we can provide you with professional tax preparation. You’ll see the difference for yourself and your business. David Mills CPA: East Peoria Location Now Open! Exciting news! David Mills CPA has officially opened our East Peoria location. We can provide your business with accounting and financial services. Our office is open Monday-Friday from 8:00 AM until 5:00 PM. Our East Peoria location is now booking appointments. For all of your financial needs, contact David Mills CPA today. We look forward to working with you and serving our customers in East Peoria. With tax season approaching, it is time to start planning and preparing for taxes. In order to effectively plan for taxes, it is important to plan with an experienced professional. Continue reading to learn about David Mills’ approach to tax planning and tax preparation. Advise on current and proposed tax legislation. If you are a business owner, we take into consideration both your personal and business objectives. At David Mills, we take a long-term approach to planning. Our team will provide several planning scenarios that consider both your short and long term goals. In recent years, there have been over 300 tax law changes and revisions. Several of the laws have limited time frames. The David Mill’s team keeps up with all of the current tax law developments that affect you and your business. We also can answer any questions about any returns that you have prepared yourself or by someone else who prepared them for you. Our team can review your past tax returns to ensure they are accurate and provide you with advice. Click HERE to learn more about our tax preparation service. As tax season approaches, it is time to call David Mills. Our team will be happy to help you with both planning and preparation for taxes. Contact our team today for all of your tax needs! With April right around the corner, warmer days will be here before we know it. While many people associate spring cleaning with cleaning and organizing your home, have you thought about spring cleaning your finances? Spring cleaning your finances is a great way to get back on track with paying off any debt, getting organized, and evaluating your overall financial situation. By following our five spring cleaning tips, you will be on your way down a more stable financial path. Take a look at how much total debt you owe. To truly understand your debt load, you will need to calculate how much debt you owe compared to the amount that you earn. If your total consumer debt is less than 20% of your net income, you are in fine standings. But, if your total consumer debt is above 20%, it is time to assess your debt load. Don’t let it overwhelm you though as there are many solutions to becoming debt free such as cutting expenses, creating a debt-free plan, setting goals each month, getting a second job and numerous of additional solutions. Organizing your finances is a vital part of being able to gain control over your financial situation and to make sure that additional wealth is going to be created. 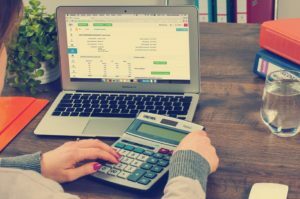 A few ways to organize your finances can include consolidating accounts, filing important documents, determining your personal net worth, estate settlement, and shredding documents that you no longer need. All of these tasks will help you be on your way to better-organized finances. Your budget is one of the most important parts of your financial planning. Without a budget, you could be at risk of overspending on items that could cause you to go into debt, or further into debt. The best way to tweak your budget is to look back at the past couple months and analyze what you spend the most and least money on. From there tweak it accordingly if you see any trouble spending areas or areas that you’re budgeting more than you need to. It is always a good idea to check up on your insurance policies, whether it be health, property, casualty, or any other insurance policies you may need to evaluate. There are many benefits by doing this such as catching any mistakes, finding better rates, or realizing it may be time to bundle. As your life changes over the years, it is always best to ensure you are not paying for insurance you no longer need or that you are not underinsured. Evaluating your 401k is important for a number of reasons. Many people make basic mistakes such as overlooking retirement plan fees, getting scared by market volatility or getting overly aggressive. Reasons like these are why it is important to think about retirement sooner than later so that you are able to take on an appropriate level of risk all along. If you are looking for financial services to help get your finances in order this spring, contact David Mills CPA LLC. David Mills offers financial and accounting services to small and medium-sized businesses, as well as individuals in Peoria, IL as well as the surrounding areas. To learn more about the services we offer, or to learn more about David Mills CPA LLC as a company, contact us here. We look forward to speaking with you! When it comes to paying your taxes, many people find themselves scrambling in April trying to get their act together. While you may think it would be an annual routine for many, about 20% of people wait until the last week to pay their taxes. Are you in that 20%? Whether you are or are not, understanding the benefits of filing taxes earlier than later is very important and will help taxpayers in the long run. 1. The faster you file, the faster you receive your tax refund. The most obvious reason to file your taxes early is to receive your tax refund as soon as you can. Last year the IRS made it possible to have your tax refund direct deposited into your account, which will allow you to receive your tax refund even faster rather than waiting weeks for a paper return. 2. Filing your taxes early helps prevent tax fraud. Tax fraud is a major issue that many people end up having to deal with. While tax fraud is more common than you think, there are ways to prevent it. One of these ways is to file your taxes as early as possible. By filing taxes early, it will be more difficult for criminals to pull off. This is because if the IRS receives a duplicate return after you have already filed yours, it will be noted as fraudulent. If you have not filed yours yet, you could be in trouble. 3. If you end up owing taxes, you’ll have extra time. If you discover that you owe a balance to the IRS, filing taxes early will allow you extra time to sort everything out. If you file as soon as you can in January, then you will have until mid-April to come up with the extra money that you owe. The extra time makes it much less stressful for you and your financial situation. 4. Filing early ensures you won’t need a tax extension. If you wait until the last minute to file your taxes, you may find yourself scrambling in search of receipts, personal information, etc. Thus, leading to the need for a tax extension. This turns into a serious issue when you owe a balance to the IRS and do not pay what you owe. The IRS will charge you interest and penalties until the full amount is paid off. Filing your taxes early will help you avoid all of these potential issues. 5. Save yourself the stress of waiting until the last minute. Waiting until the last minute to file taxes will do nothing but add additional stress to your life. You will feel the pressure to find your needed information and file as fast as you possibly can, which can lead to errors and other problems down the road. Tax season is stressful enough, there is no need to add even more stress by waiting until the last minute. If you are in need of additional tax information or need assistance in filing your taxes, contact David Mills CPA LLC today. We provide expert accounting and financial services to small and medium-sized businesses, as well as individuals across Morton, Peoria, & the rest of Central Illinois. We look forward to answering any questions you may have!